Powered by NVIDIA GeForce GTX 1070 with 8 GB of dedicated GDDR5 VRAM, this 17.3-inch Full HD gaming laptop features a Predator ProZone RGB keyboard, a PredatorSense software, and Killer DoubleShotTM Pro technology. The lowest price of Acer Predator 17 is P94,990 at asianic, which is 64% less than the cost of Predator 17 at Lazada (P265,999). The latest price of Acer Predator 17 was updated on Apr 22, 2019, 09:23. 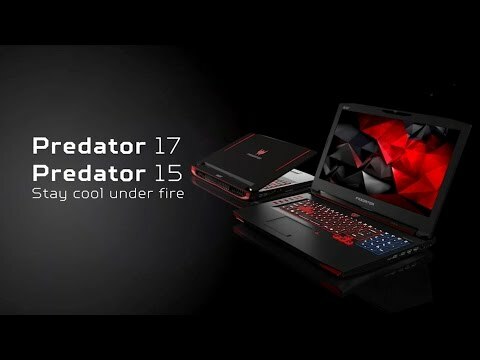 The Acer Predator 17 is a top-of-the-line machine that comes with a good broad design which is similar to Acers' Predator 15. It is consisting of a large box with its aggressive theme and an angular, black and red backdrop. Inside the box, it comes with three smaller boxes. The large box has the Predator branding stamped in glossy print and contains the actual laptop. Next is the elongated box, which holds a 230W power adapter. For the two-compartment box, it holds user manuals and a hot-swappable exhaust fan. The Acer Predator 17 is expandable with a reversible cooling system. It also comes with a speedy sixth-generation Intel Skylake processor, heaps of RAM and a star-bright display, which makes the Acer Predator 17 a worthy device, although it sometimes feels too hefty to handle. Its construction is mostly plastic, but it feels much more durable and tightly-built than the majority of Acer's mainstream laptops. For its screen, it hardly bends at all, and there are no big gaps around the keyboard base. The Acer Predator 17 measures 17.3 inches and is pack with a GTX 980M inside. For the top-spec version, it houses the same processor alongside a meatier GTX 980M packing 8GB of GDDR5 RAM. It has a double video memory which is more suitable for demanding games with high-resolution textures. The Acer Predator 17 is quite heavy and bulky, so it's hardly considered to be portable. It weighs at 8.71lbs or at 2.17kg, it's shoulder-straining heavy, and while it doesn't initially feel too weighty on a lap, extended use can make for uncomfortable legs. You can sling it into a big bag and transport it around, but that doesn't mean you would want to carry a laptop this heavy all the time. It has some backlight bleeding around the lower right corner, but high brightness and vibrant colors ensure this is a pleasure to play with. Acer also offers a version of the Predator 17 with a 4K display. It is pack with a pixel-resolution of 3,840x2,600. However, when using a 4K display would make everything on the desktop super-sharp, games will run at much lower frame rates than if they were played at 1080p or even in Full HD. The Acer Predator 17 comes in no surprise to that gaming is where it really shines. The GTX 980M is no longer the top dog in Nvidia's mobile GPU line-up following the launch of 980-equipped laptops like the PC Specialist Octane II - but it still has plenty of bites. 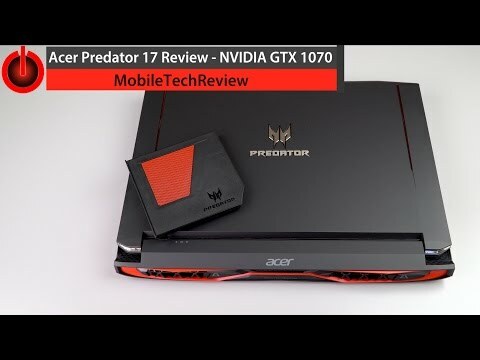 The Acer Predator 17 is paired with the Intel's Core i7-6700HQ, a mid-range offering in Intel's mobile processor line-up, and 16GB of RAM, there's easily enough power to play the latest titles in Full HD. Acer does a great job in producing another gaming laptop. The Acer Predator 17 is a handful, but it performs better and lasts even longer compared to the Acer Predator 15. Acer laptops are well known and famous in the Philippines. With its specifications and features, all Filipinos just can't wait to get their hands on in this gaming machine.